If you're in front of me, you're in my way! Robot Mode: G2 is often lamented for its mediocre toy figures, but that certainly doesn't apply to Sizzle. A remarkably posable robot for his time, Sizzle has a nearly full range of movement in shoulders, elbows, hip and knees, so you can put him in all sorts of fun poses. The detailing is also quite good for a figure of that age and size, no complaints on that front, either. Sizzle is also a sword-wielding robot, which I always love, and combined with his look and colour scheme, he pulls that off very well. Pressing on the engine on his chest causes it to light up. A cable leads to his hand in order to make his transparent sword light up as well. 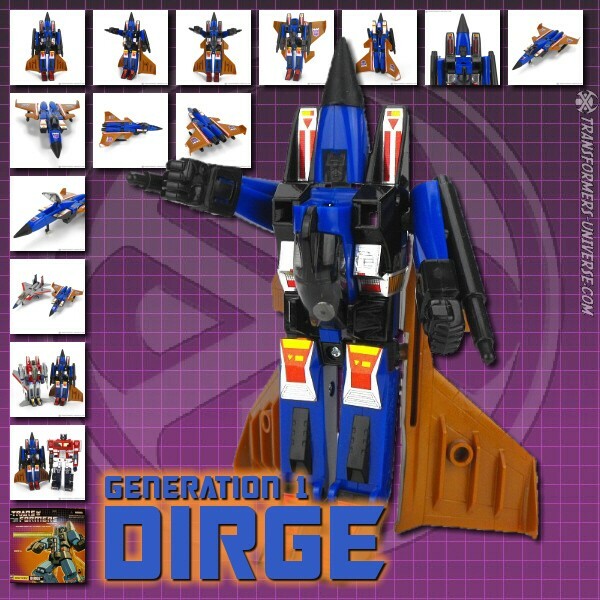 All in all a very fun, very well-made robot mode that has stood the test of time. Alternate Mode: If there is one thing G2 specialized in (apart from rather strange profiles), then it was unusual-looking alternate modes. Sizzle is no exception. He transforms into a car that looks like an early 20th century model that was beefed up for a dragster race. Pressing on the engine causes it to light up, giving the impression of a turbo-charged engine just brimming with energy. I do love Transformers with classic-looking car alt modes, so Sizzle definitely appeals to me in this mode. Remarks: I found Sizzle on a flea market, sitting deep inside a box of left-over 90s toys, many of them in abominable condition. Sizzle isn't exactly pristine, either, but he has held together well (except for his sword) and the years haven't diminished the fact that he's a surprisingly good and interesting Transformer. Very posable, an interesting alternate mode, and a gimmick that was probably fun, though it's hard to know for sure, seeing as I'm missing his sword. Sizzle played a minor role in the G2 comic book from Marvel, being one of the newly created Decepticons Megatron brought to life with the Creation Matrix. Sizzle and the other Decepticons later fought side by side with the Autobots against the menace of the Swarm. While not the most interesting character or figure ever, Sizzle holds up quite well and if you can get him cheap and in good condition, I'd definitely recommend getting him. Update April 15, 2018: I updated Sizzle's pictures today, seeing as I was missing his sword in the first set of pics, and for the first time noticed that he, along with his fellow Laser Rods, didn't just antedate the great posability of the Beast Wars figures, no. They also anticipated the feature of the weapon being stored in the alternate mode. Sizzle's light saber is stored on the car's underside and becomes the exhaust pipe. Very nicely done and yet another plus for this great figure from a mixed bag toyline.